The support request I get most for Related Posts for WordPress Premium was how to customize the output of the related posts. The plugin already came with overridable templates, so for the people that know how to write HTML/CSS full customization was already possible. The fact is though, that most of my clients don’t know how to write HTML/CSS and that’s totally fine. So I started to think of a way that everyone could change the layout of their related posts, without having to code it. The related post layout customizer was born. With the layout customizer you can easily change the way your related posts are displayed on your website. You can add title, image, excerpt, custom text and post meta ‘components’ to the customizer and place / order them however you like. The customizer has 5 rows that can contain components and you can give each component a height between 1 and 5 and a width between 50% and 100%. To give you an idea of the possibilities and get you going the plugin also comes with 4 presets you can use and edit. After you’ve created your layout you can select how many related posts you want to show on each row, ranging from 1 to 4. Finally you can set a fixed or dynamic height per related post, to ensure the rows integrate nicely with your theme. I’m very excited about this feature and this is definitely the biggest feature in this release. It took quite some time and effort to make sure the created layouts would display correct, also because there are so many themes out there. I think it’s also worth mentioning that the layout and the layout CSS are fully cached so your website doesn’t have to calculate it on every page load. This update brings another feature that’s been requested multiple times, excluding certain posts from being related. We’ve all got this post that we’ve written once that we don’t want to delete but not necessarily want to direct people to. So when this post comes up as a related post, we would be kind of sad. Of course you could easily remove this related post manually but if this posts comes up as related multiple times it’s just a hassle to keep removing it. For that reason you can now exclude posts from ever being related. Simply edit the post that you don’t like, check the Exclude checkbox in the Related Posts Options metabox, save your post and that post will never be used as a related post again. This feature was suggested by a customer and I loved it from the moment I read it. If you’ve got a large website with a lot of posts, like a news website, there’s a big chance your latest post is related to a post your wrote 3 years ago. While based on content this might be true, you might not want to link to a news article from 3 years ago. While being related, it’s just not relevant anymore. With the Maximum post age feature you can set the maximum amount of days ago a post was written, forcing the plugin to only display relevant content. You can set a different maximum post age per post type or only enable it for certain post types. Another very cool feature that got squished into this release are WP-CLI commands. With these WP-CLI commands you can now do various Related Posts for WordPress actions via your command line. 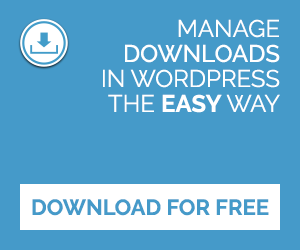 Large websites can now run the complete installation wizard from the command line, avoiding PHP time out errors or a browser that has to be kept open for a longer period of time. You can now also setup a cron job that automatically relinks your posts every week (for example), 100% via CLI. Like with all WP-CLI commands you can run wp help rp4wp from CLI to get documentation on the commands. I will write a blog post with some examples plus add specific WP-CLI documentation to the Related Posts for WordPress website very soon. I would love to hear it if you’re missing any WP-CLI commands so I can add them to a future update! The 1.4.0 update contains various other improvements as well. Amongst other things we’ve implemented a better way of autoloading, gave the widget a separate template file, updated translations and stopwords, improved hook and filter performance and fixed various small bugs. You can read the full changelog here. 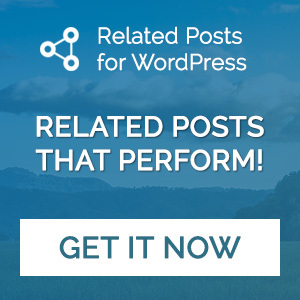 With this massive update shipped and the awesome new features it brings I’m more excited about the future of Related Posts for WordPress than ever before. The free version of the plugin will get a major update soon that will introduce some new feature as well. Like always I would love to hear what you think. Please leave a comment below with your thoughts and feedback or send me an email via the contact form on the website.